I have been wanting to make Chicken in Tarragon ever since I saw Nigella Kitchen on TV. Tarragon is one of the four main fine herbes in French cooking and is also the main flavoring component for making Bernaise sauce. For culinary cooking, French tarragon is used, but often sparingly used because of its intense flavour. Nigella has cleverly shortened the cooking process of this elegant French dish and for this recipe, I would suggest you double the sauce because it is very good and goes so well with boiled potatoes or rice. Here I am using chicken breast which I don't normally cook, but like what Nigella said the chicken breast cooks so tenderly and with this smooth rich cream, is perfect for this dish. Heat the garlic oil in a frying pan or casserole that has a lid and in which the chicken breasts will fit pretty snuggly. Add the spring onions, stir, then sprinkle in the freeze-dried tarragon, stir again and cook them in the garlic oil for a minute, stirring some more as they cook. Put the chicken fillets into the pan, curved side down, and cook for 5 minutes. If the spring onions start to burn, scrape them from the pan and let them sit on the chicken pieces. Turn over the breasts, and add the vermouth or white wine. Let the vermouth bubble up, then add the salt. Put the lid on, turn the heat down low and leave it to simmer gently for 10 minutes. Check the chicken is cooked through by making a small cut into the thickest part and ensuring the juices run clear - if not, simmer for a few minutes longer and check again. Note: I cooked for 1 serving with steamed french beans and boiled baby potatoes. organised by Joyce from Kitchen Flavours and Zoe from Bake for Happy Kids. This recipe sounds so simple and easy; but your result is DELISH! Bookmarked! Hi Emily, yes it is a very simple dish which can be done in less than 20 minutes but is also very elegant to serve to guests. This is one mouth-watering meal! The chicken looks so delicious, and tarragon is one herb that I do not use as often. Nice change from the regular herbs! Hi Joyce, I used tarragon quite often in my cooking, but sometimes quite hard to find in supermarket. Hi Lian, this is simple and delicious. Never cooked with tarragon, although I have a pot of the dried herbs sitting in the cupboard somewhere. Hi Yen, tarragon is good with pork and chicken. Try it in stews and sauce. Yes Kit, cook this and your dinner will be ready in no time. Hey Lian ! Just in time for dinner ;D I love the look of your chicken , it looks perfectly-cooked ! Everything in that plate looks fantastic , I'm certain it taste delicious ! Hi Lian! I've not used tarragon before, but this recipe is definitely a keeper! I love recipes that have a nice creamy sauce to go with potatoes, this looks delicious! Hi Jasline, I saw your pork chops, look just as delish too. sounds simple too to cook this!like your side dishes too, that makes such a hearty dish altogether! I have grown tarragon once but died during its first summer :( As it is not a common herb to use, I choose to buy it rather than growing it anymore. 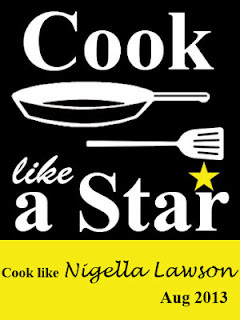 I have cooked Delia's tarragon chicken before and wonder if it is different from Nigella's one. In regardless, yours look yummy!